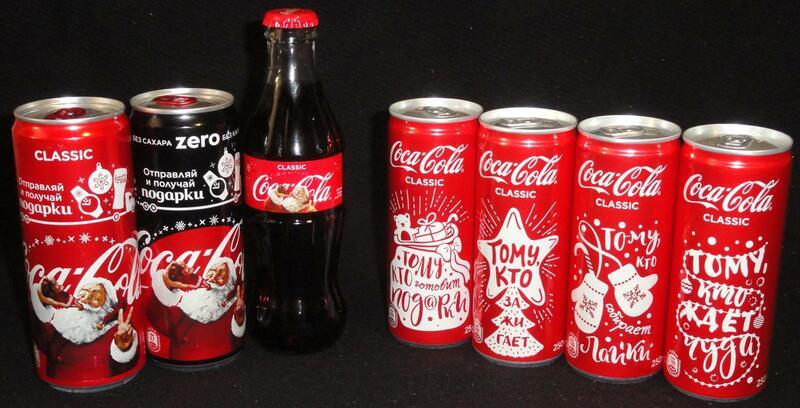 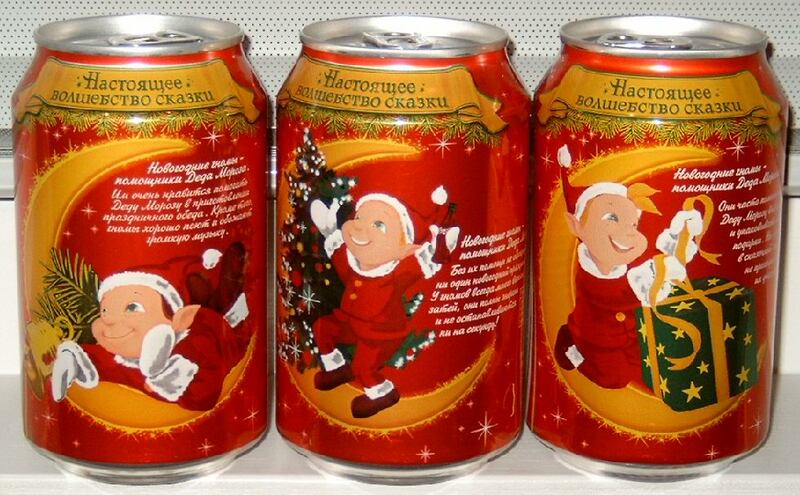 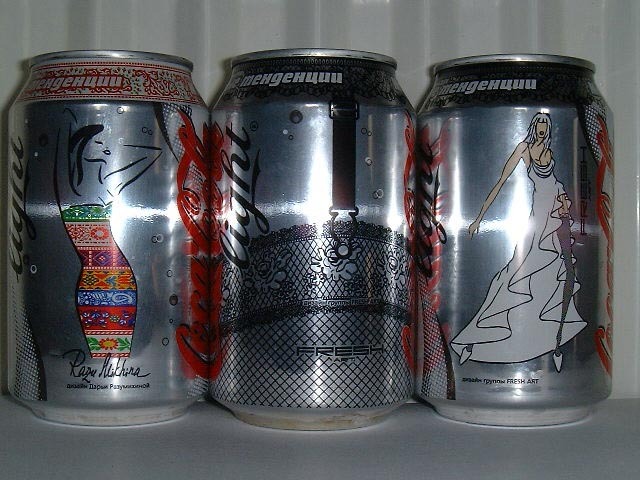 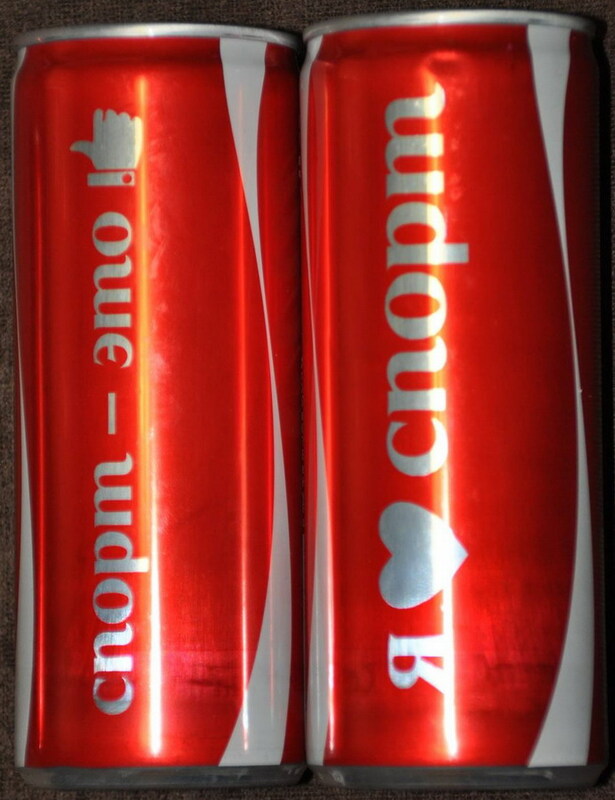 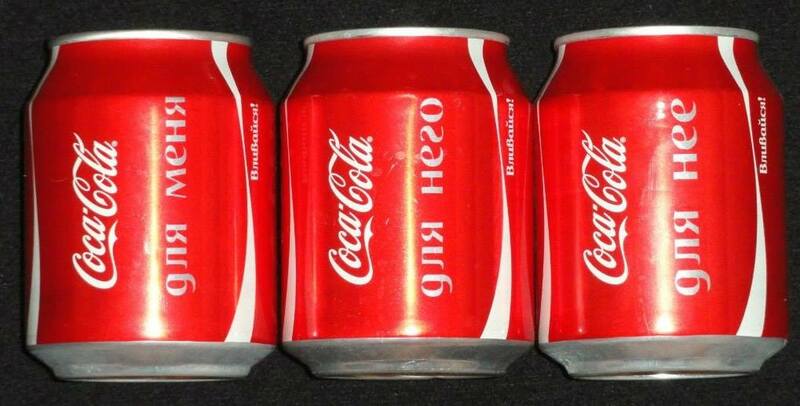 Coke cans from Russia from this year's 300th Anniversary of the city of St. Petersburg. 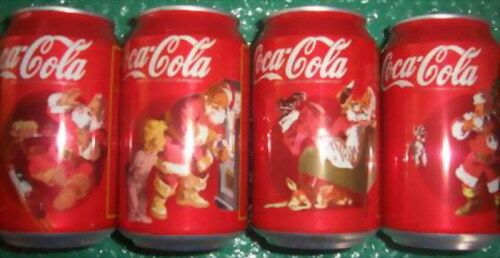 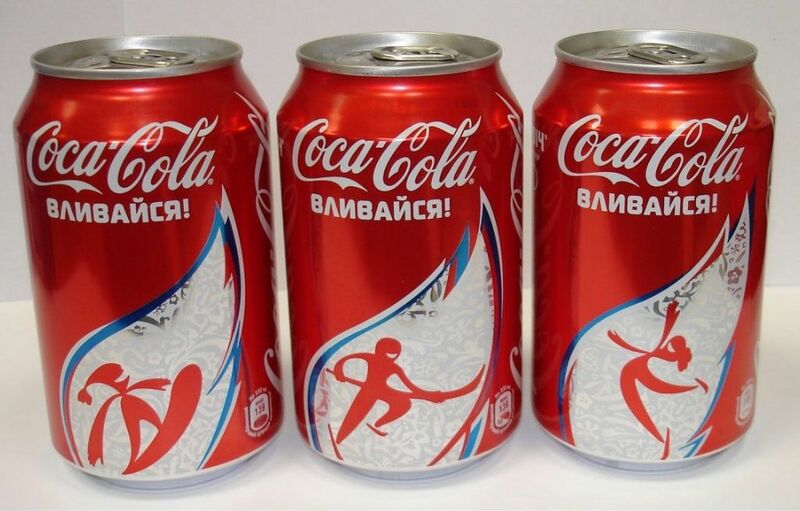 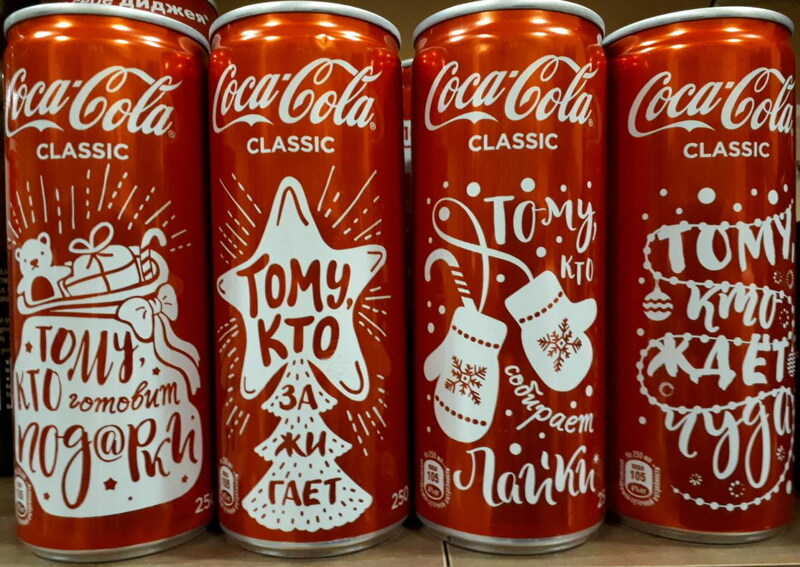 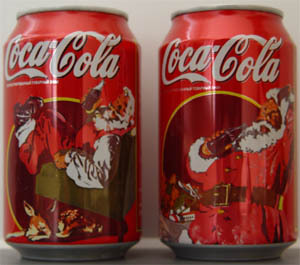 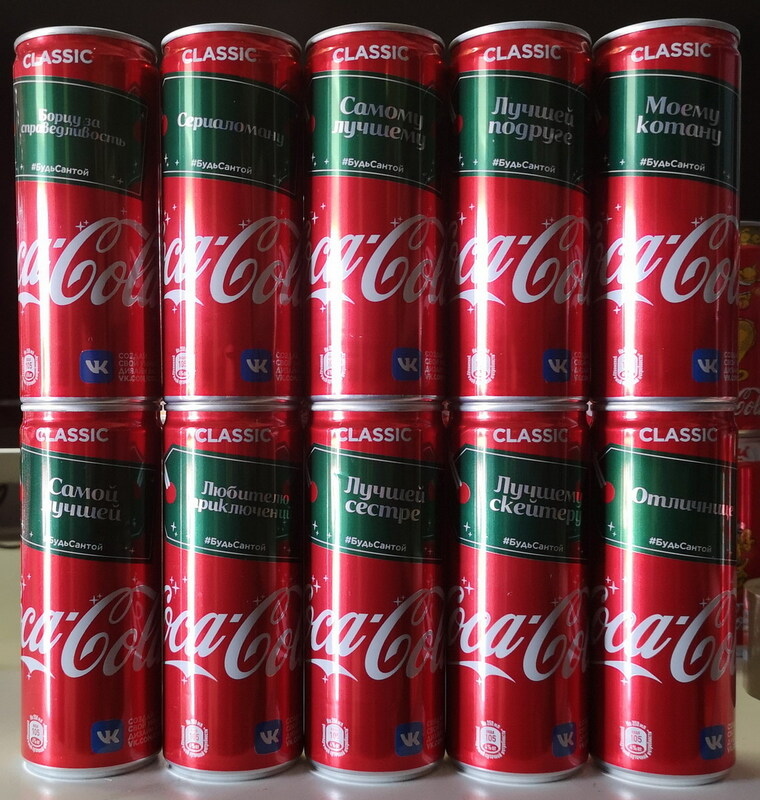 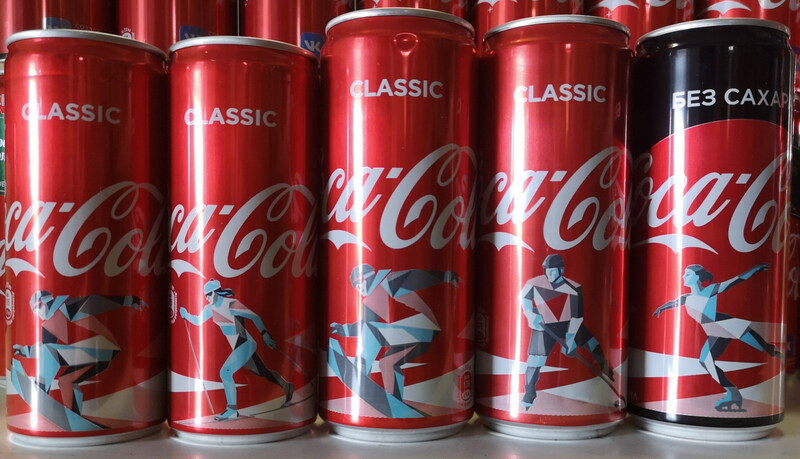 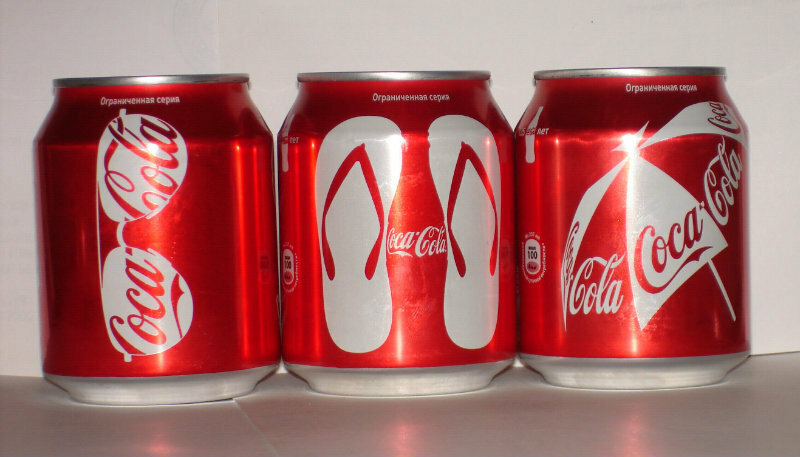 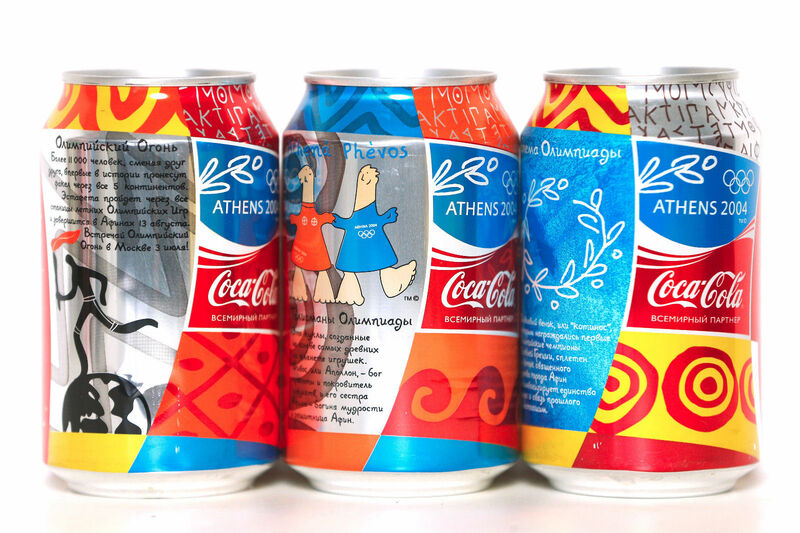 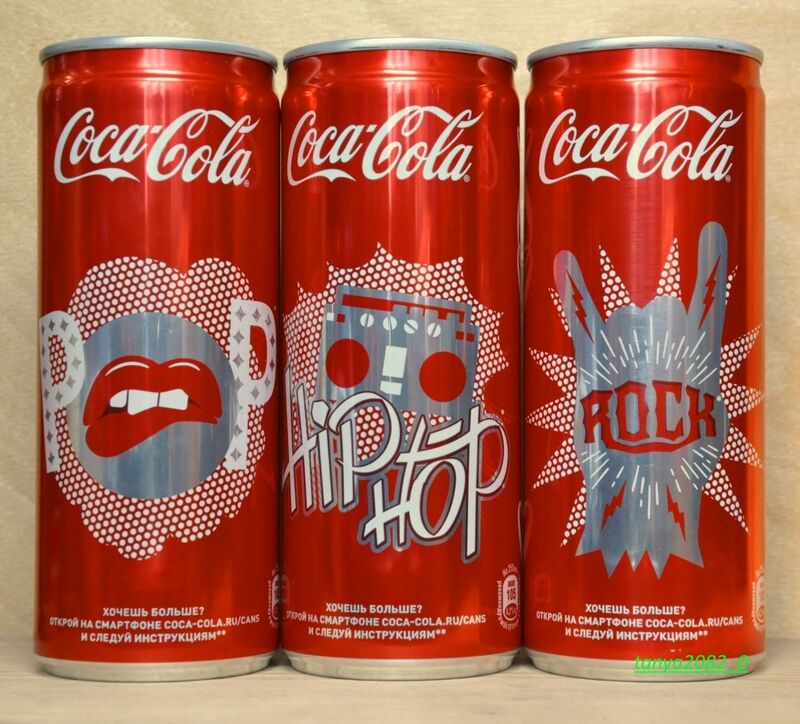 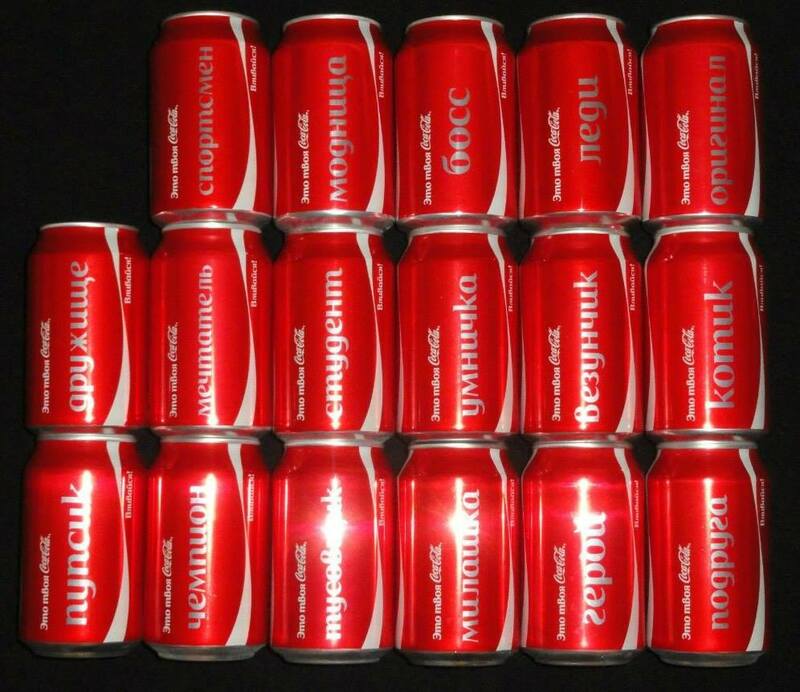 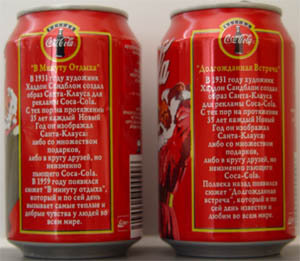 They are beautiful, with a classic Coca-Cola logo and a artists rendering of the Arch of Triumph at the Hermitage and with all wording on the can besides Coca-Cola in Russian. 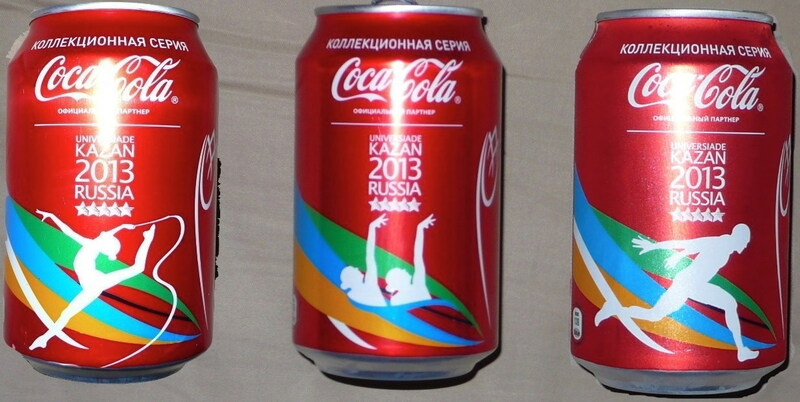 They appear to be bottled in Moscow. 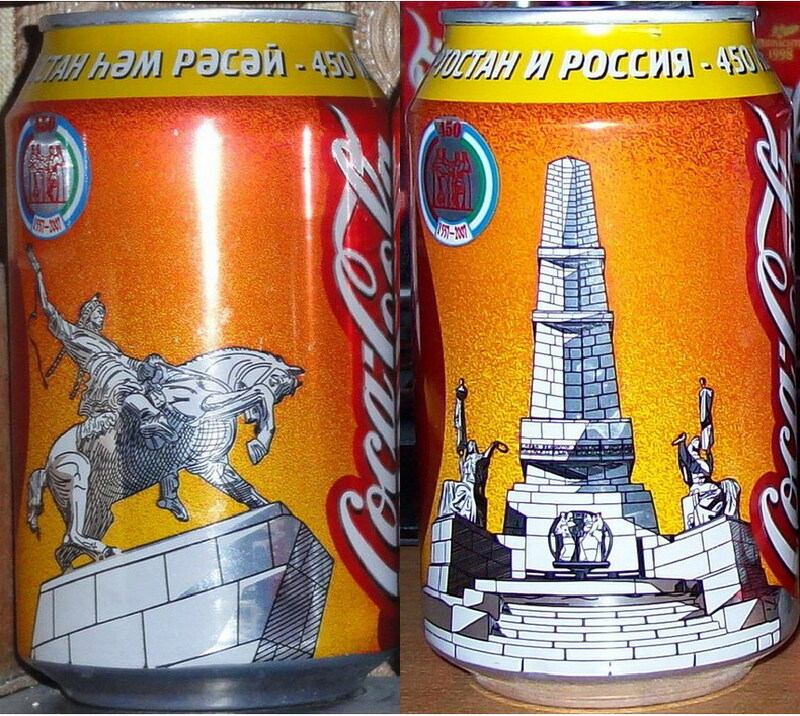 and is sold from St. Petersburg to Vladivostok with portions of the proceeds going to the Museum. 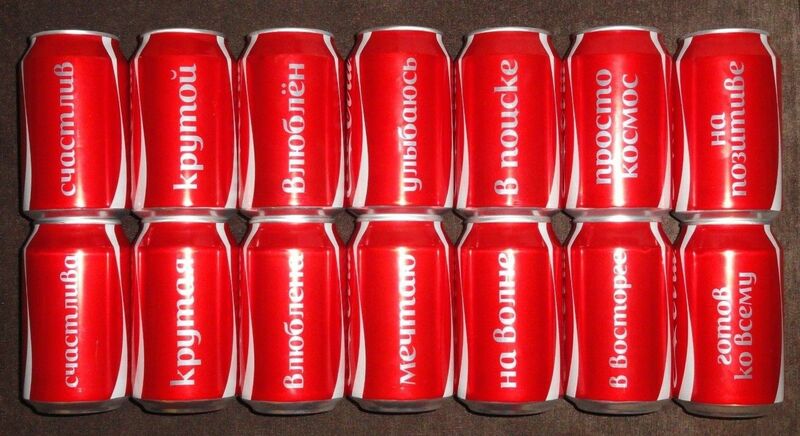 On sale only in one Russian region, it's a rare set! 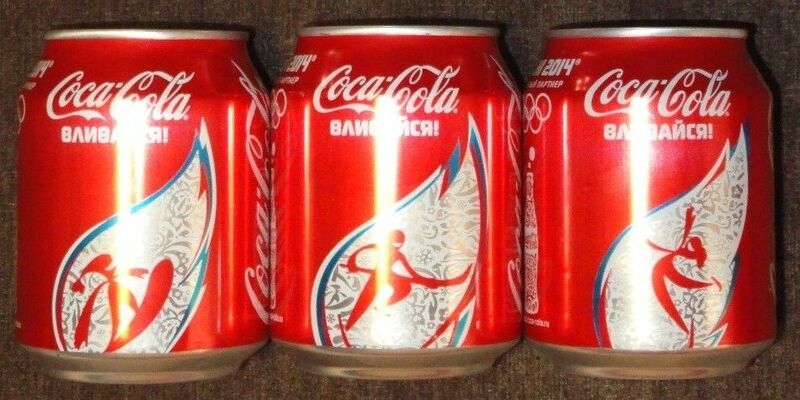 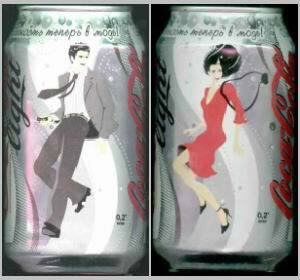 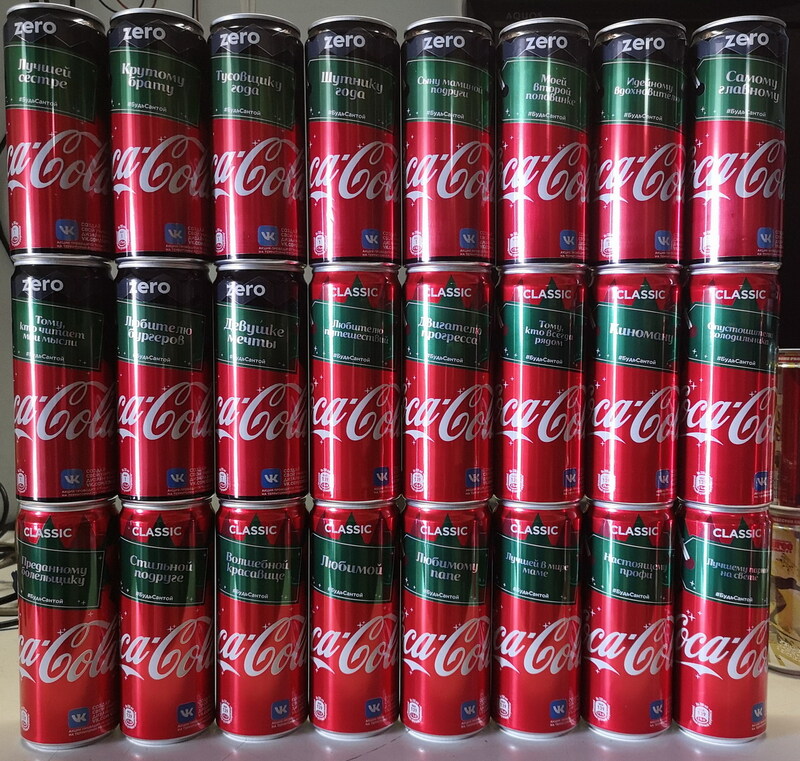 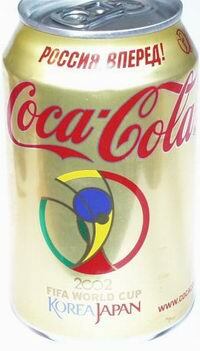 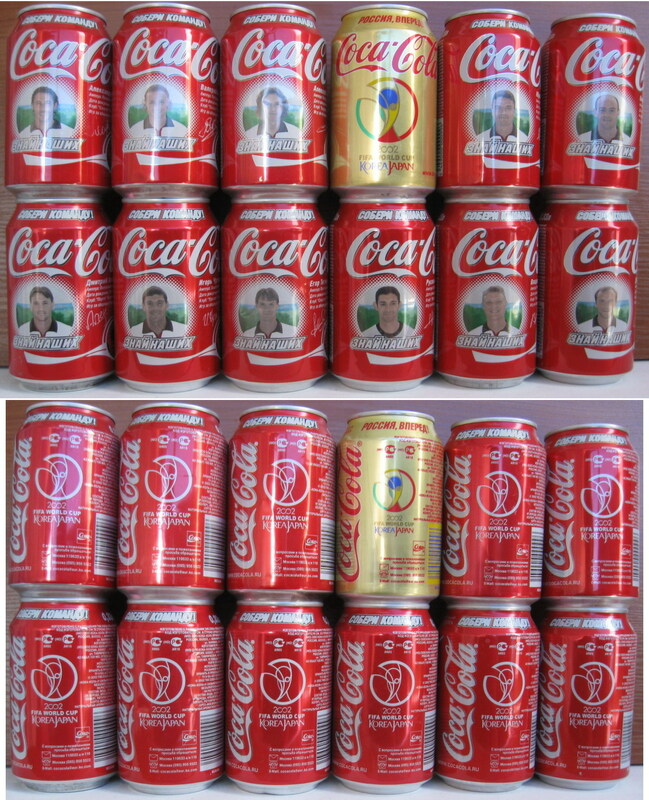 2 sport can (only for Coca-Cola Pavilion) not for sale.